Howdy! My name is Diesel and I am one of the cutest, sweetest bunnies you'll ever meet. Even though I am a young teenager, I am still calm and affectionate. I'm easy to handle, calm and loving. I'd be a good pick for first time bunny lovers. 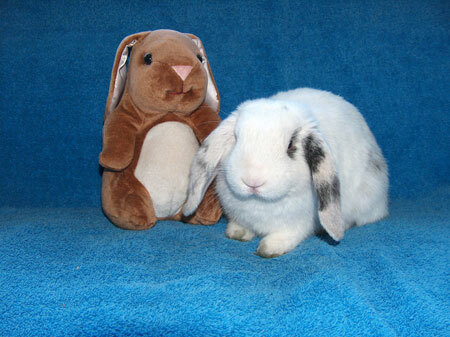 I'm such a nice bunny and so cute, I am sure to be adopted soon. If you want to meet me, you better act fast! You waited too long! I've been adopted as a companion to Bun-Bun.